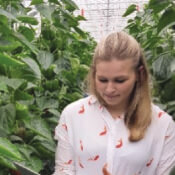 Wageningen University and Research is a collaboration between the Wageningen Research Foundation and Wageningen University, one of the world’s leading universities, particularly in the field of greenhouse horticulture and agricultural innovation. Over 6,500 employees and 12.000 students from more than a hundred countries work everywhere around the world in the domain of healthy food and living environment for governments and the business community-at-large. As a customer as well as an official advisor, the WUR provides insights and guidance that help shape 30MHz’s product roadmap, and ensure that our team stays up to date on the needs of growers in the Netherlands and across the globe.